People talk a lot about peoples’ eyes. These phrases stand at the ready, because they know they’ll be used. Phrases like those are something I could never understand, because it’s something I’ve never noticed. And I’ve always wondered about phrases like that, even though I never realized I was wondering. Eyes don’t sparkle… Do they? They don’t twinkle, either. So, why the weird terminology? Forty years into my life so far, I still don’t quite get it, but for the past two of those years, I have finally known why I don’t get it. How do you notice something, such as twinkling/sparkling eyes, when, as a general rule, you don’t look at them? Two years in (meaning into this Asperger’s/autism discovery thing), I still don’t get it. But that doesn’t mean that I don’t try to understand. (It seems like I’m always trying to understand something–or several somethings.) After all, think of how many times we’ve heard those terms, and multiply it. That’s a lot of usage of terms like those. Last night, I watched a true crime documentary (my recent idea of fun). The show I watched featured the case of a guy who’d been murdered by his wife. It included interviews with the victim’s sister and other family members. They talked about how, early on in his marriage, he was so happy. “His eyes sparkled,” they said. And then the show displayed a still photo of the guy. I looked closely, watching for any evidence of sparkling. He was smiling genuinely, and his eyes were squinting as such, but I didn’t see what they meant by a “sparkle”, per se. He was really happy, and you could tell he was giving off an in-love vibe. His eyes did look warm and loving and friendly, but that’s all that I could see. It’s not like eyes have glitter. Eyes don’t sparkle. “You’re glowing,” people have said to me, at various times over the years. Chances are, I was indeed feeling chock-full of joy. Maybe I was dippy-in-early-love, that infatuation that often comes in the early stages of a budding relationship. Or maybe I was in love and totally excited about a new kitten or two. Or maybe there was an extra spring to my step because I had just landed a much better job than the hell-hole I was in and I’d handed in my two-week notice and finally found the wings to fly. But I don’t know if I’d call it “glowing”. I mean, I’m not a radioactive Teenage Mutant Ninja Turtle (damn), nor am I bioluminescent, like certain oceanic bacteria or fireflies (damn again). I might describe my outward display what it is: a dopey smile, a vibe of hope, a newfound lease on life, a skip to my walk, a sigh of relief. But I probably don’t glow. One might ask: what did I do for the 38.5 years of my life during which I had no clue of my Aspie/autistic neurotype, and people used phrases like these and it left me confused? Well, I did what I suspect a lot of us in my situation did: I failed to understand what they were talking about, didn’t get what they meant by those phrases, but nodded, took them at their word, pretended like I knew what they were talking about, and responded in such a way that satisfied them but didn’t provide an invitation to go further down that line of conversation. I remained confused afterward (what on earth do they mean? I don’t see what they’re seeing or saying), but this type of situation remained a minor enough ordeal that it didn’t bother me. The social obstacle it posed (and its personal impact to me) was–and still is–pretty minimal. I’m not even exactly sure why I’m thinking–much less writing–about this today, other than the fact that it crossed my mind. And if it crossed mine, then I’m sure it crosses the minds of others, too. You’re not missing anything. Eyes don’t actually sparkle. People don’t actually glow. Someone’s eyes might crinkle when they’re smiling, and they’ll probably display lighter body language when they’re happy or relieved or something. And yes, it’s possible for humans to perceive and/or sense those things on some level. But if you’re like me and you simply don’t get some of the euphemisms society often uses (where do people even get these? ), then rest assured, you’re not alone. You didn’t miss anything, I don’t think. You’re not failing to see something others are seeing. They don’t have magical eyesight; they’re just using silly and imprecise figures of speech. It took me 40 years to nail that one down for myself, once and for all (grin). So, why the weird terminology, anyway? I don’t know the answer to that one. I’ve pondered it, too, and so far, I’ve drawn a blank. Maybe it’s as simple as a subconscious need to be dramatic, on a general societal level. Maybe since the average population tends to spend more time looking into peoples’ eyes, the eyes have become a focal point, and may hold greater importance in general. 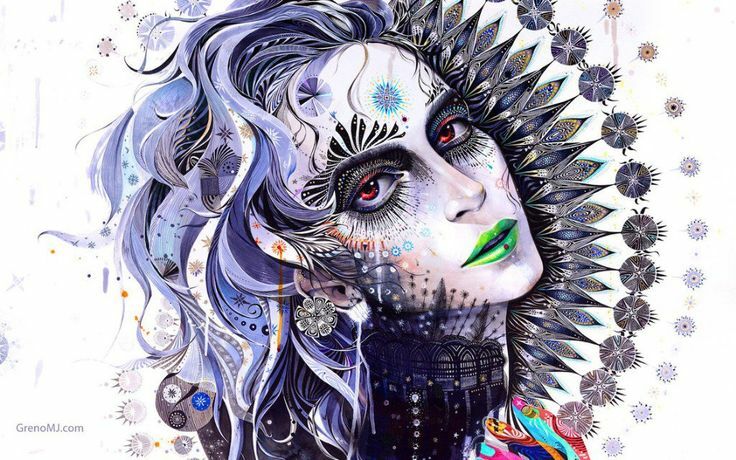 Everything seems centered on the eyes. Disney artists make sure that the characters’ eyes are huge and expressive – the “ideal eye”, or so sayeth society. After all, the eyes are the windows to the soul and all that. I’m not sure I want to know if mine sparkle. I’ll keep my window to my soul to myself. Does anybody sell proverbial eye curtains? Amazon?? I thought it was just me who disliked these silly phrases that aren’t realistic. And Disney has a lot to answer for! I know exactly what you mean and have never used those phrases myself for that reason. I write ‘serviette smile’ for example, to refer to the wrinkles beside one’s eyes. I can only assume ‘twinkle’ it is meant in the metaphorical sense, but it is not realistic enough for me to use and too cliche! It is overused and I am sure it’s real original meaning has been lost. It sounds like it might have been an original Shakespeare-ism or something! I totally agree 😁👏🏼👏🏼👍🏼. I’m guessing it’s a metaphor, too, but it’s like a societal inside joke that I don’t quite get lol 😉. You’re so right about certain terms being cliché and overused. I often find myself getting bored when I encounter those overused phrases, although I sometimes use them myself (hello, My Name Is Laina, and I’m a Hypocrite!) 😂. I guess that’s what they’re there for, but if I use them, I try to do it in an unusual way or maybe in a very appropriate situation or something. It’s deliberate, anyway. But I’d rather come up with something more original when I can. Those phrases are there, but they’re like tools in a toolbox (see? 😂) – it’s possible to overuse the screwdriver, especially if that’s not quite the right tool 😉💖. working hard… that’s all I can say .. lol! As per usual Laina, another excellent post. Admittedly it’s not something l have ever thought about, l don’t specifically look at people’s eyes as you have already noted, it’s usually just below or just above, so l tend to see skin. Very few people do l even know the colour of their eyes let alone if they sparkle. I do however look at mouths a lot, and as such catch the very ‘glimmer’ of a smile. which l was always under the impresion that if people smiled, their whole face lit up, which would take us to another odd phrase all by itself! Umm….. I’ve seen eyes sparkle. Granted, it was candle light and probably a reflection off the dialated pupils in the eyes but there *was* sparkling. I think of someone who has sparkling eyes as someone who is happy and healthy. They have a certain energy, perhaps mischeivous. Perhaps someone who was sad or ill or dehydrated wouldn’t have the sparkle? A sparkle or twinkle in the eye could perhaps go along with a boyish grin? Yes, none of it makes sense. This was so funny and genius. I enjoyed reading it very much. One of the greatest, if not the greatest, compliment I got from my girlfriend back in high school was that I smiled with my eyes. I’ve never been good at taking compliments but I cherish this one. BTW, I love crime documentaries (my old idea of fun). Nice to hear your voice again, you gorgeous you. How’s school? I’m really happy to see you, too, girl! 😍. That’s a really cool compliment to receive – the smiling with your eyes 😁. That’s too funny, too, because that’s one of the best compliments I’ve received from one of my offline friends, too! 😍. And she worded it just that way, too! School is busy as hell, but super-fun! I know I’ve been a ghost around here lately, and that’s definitely why 😊. Mondays and Tuesdays are jam-packed with trying to beat mid-week deadlines and all that, but so far I’m doing really well, which is very reassuring 👍🏼. Good. Busy too. Good busy. Can’t complain. I need a vacation now and a fresh pair of eyes. Hugs. Awesome! Good busy is…good! 😁. (I’m so original today lol). I enjoyed this essay for its virtues as an essay, but I never even thought about this. I myself use a lot of metaphor, analogy, simile, imagery, etc. when I speak. think, and write, so even though I think you’re right to observe that eyes don’t literally sparkle or twinkle, for me it doesn’t seem weird at all that people speak in this way. I think I actually do it much more that even most normals do. Cool! I’m happy to make your acquaintance! At least they’re great cliches for lazy writers. Oddly enough I do use and understand most metaphors and stuff (but not always – there is one I remember not really understanding for years, and not really realising I didn’t – then one day I suddenly realised what it meant, and laughed at myself because the meaning was funny, and it was so silly that I had not understood it, but I was also confused because I wasn’t quite sure what to make of the fact that I had not understood it sooner – it was before I knew I was Autistic). Thank you for explaining this; I think you did a fine job! 👏🏼👍🏼. Yep, like you, I usually get most metaphors and figures of speech 😁. I just have this mental blockage when it comes to human faces, of all things! 😂. That’s really cool that you’re an extrovert! I ran an informal poll on Twitter a long time ago to see how many of us AS peeps were extroverts vs introverts. 98% of us introvert, 2% of us extrovert. I found that very interesting! It does show that we’re not all the same, even in terms of extrovert/introvert. Some of us are indeed quite social! Its all about the terminology, if you don’t understand it, its like an alien language! It’s bethany but wordpress won’tl let me leave any comments!!!!! So i had to sign into Facebook which I don’t even use anymore other than to save my photos. Ahhhh wordpress!!!! For someone like me, I get a “feeling” so if someone is radiant or glowing it is more of a way they make me feel as if I can feel their heart and soul are emitting this energy that I can feel that is a vibrational kind of thing. Yeah, I don’t know how to explain it. I guess no one else does either or they wouldn’t say glowing when you aren’t literally A GLOW. Yet some people can walk past me or I will talk to them and it is as if the world has disappeared and all I can feel is their voice and their love and their being and it is really a cool thing. I’m sure if I were around you I would say you felt like you radiated beauty only because I could feel from your vibe and your words and your empathy something that reached my heart. If that makes any sense AT ALL. Again..this is bethanykays over from ya know..my blog…that went insane today posting five billion posts because well…i felt like it!!! I’ve often thought that this is one of the points where I fail at being autistic big time – because I don’t take things literally! Or, at any rate, I seem to differ in that respect from a lot of autistic people. (Note to self: must get round to writing that blog post about taking things literally.) All those metaphorical/poetic/symbolic expressions: I understand them perfectly. I have understood them for as long as I can think back, I don’t remember ever having a problem with them. In no way do they seem weird or silly to me. I think there are two reasons. One is imagination: when I read ‘his eyes sparkled’, in my imagination they do sparkle a bit. When I read ‘she glowed’, in my imagination she does glow, a bit. No, of course eyes do not really sparkle. But does that lack of realism bother me? Not in the slightest. If I can imagine it, that’s real enough. The second reason is my brain’s hyperconnectivity. When I hear that someone’s eyes sparkle, this immediately triggers connections to their probable emotional state, to the ways their face would actually look like (not literally sparkling, but happy), I get an impression of a whole range of feelings and a ton of associations that go with ‘sparkling eyes’, and all this is so quick that I don’t have time to be confused by the expression because my brain presents me with explanations straight away. In a way, it might be my autism that helps me to understand metaphors better. Funny, huh? Of course, sometimes I come across an expression I haven’t heard before, and I might not immediately know what it means. And sometimes, I do take things literally. But literary/poetic language has never been a problem. Perhaps because I learned so much of it so early? Oooh, I like your perspective! 😍. I don’t think you fail at being autistic 😁. After all, I’ve noticed that many of us *do* speak in more poetic language, often coming up with figures of speech of our own 😁. In fact, I felt a little funny writing this post because I knew that I was only telling half the story, but meh, I ran with it lol 😉. I think it does help that you got started early, sure 👍🏼. hm, interesting to read about eyes specifically. I don’t know for sure whether I am on the autism spectrum or not, but one of the reasons some people suspected that was that I do avoid eye contact (even my teacher at school complained about it). however, in 2016 I made another strange discovery, which is that apparently I’m what they call “energy-sensitive”, or perhaps, in more scientific terms, I have a form of synaesthesia (I sometimes “see” colors associated with someone’s emotions/state of being, I often sense their emotions in my own body, and/or if they have a pain or disease I sense a shadow of it in my own body, too … which yes, can be disturbing). when researching that topic like crazy, I came across the information – which seems to be well-established in the world of people who consider themselves energy-sensitive – that one of the most basic and forceful ways to “catch” someone’s energy – to start feeling the other’s emotions and physical sensations involuntarily – is eye contact. at that point something “clicked” for me; because I asked myself, WHY am i avoiding eye contact? my intuitive answer is that it feels kind of “blinding”, like someone is shining a sharp, overwhelming light straight into my pupils, and it just makes me distressed and very tired very soon – just like you can’t stare into a stadium reflector for more than a split second. i then tried to deliberately experiment with it and avoid eye contact less. and i would say that this “energy sensitivity” hypothesis seems pretty true – when I ignore my instinct and make more contact, often very weird things happen (like, i somehow feel “sucked into” the other person, or “flooded” by their vibe, or i start “seeing” and feeling things that i really don’t want to see and feel – it’s just far too intense and perhaps intimate). now since there seem to be a lot of people who know much more about autism than me on here, i wanted to ask – is the “autistic” variety of avoiding eye contact clearly different from that? not a question of overwhelm, but more like – no relevance/interest (sorry if the question comes across dumb, just i really don’t know :)? i would really appreciate if someone could comment back on this so i can understand the difference. ps. also concerning “sparkles” … perhaps i’m quite opposite in that regard, as for me it’s actually not a figure of speech – i can sometimes physically sense a “sparkling” feeling around my eyes (or even inside them) when i look certain people in the eye; or concerning “glow” something that does feel like a warm, encompassing beam of light-warmth – i would assume that perhaps not everyone physically feels these subtle sensations, but maybe these figures of speech were made up by people who do? just an idea. thanks for the interesting and informative site! Laina, did you intend (and forget) to respond to this comment? Thank you so much for your comment, Sasha! Please forgive me for the late reply; my presence on here has been a little sporadic in recent weeks 😳💗. I’m with you; I avoid eye contact as much as possible. It’s not that I’m hiding anything or being dishonest; it’s that it’s uncomfortable for me 😊. I don’t know my friend. I do believe eyes can sparkle. Also the eyes can die. Many photos of soldiers with the million mile stare. The eyes, keep secrets or show you wonder. Dying eyes. Easy to see dear Laina. the eyes are gateways to the soul. it’s a phrase i’ve heard a lot, in multiple languages, used in different cultures. I used to notice the difference an emotion could bring to the eyes. Twinkle or sparkle, is the light that appears in ones eyes, reflections of their emotions – to me anyway. i haven’t seen anyone’s eyes light up with joy, darken with sadness for a long time, but i know i’ve seen it before. The problem though, is not with you, it’s that genuine emotion is hard to come by now a days. this is a great post. I’ve often wondered how people see emotions, knowing each has a unique way. I think such expressions are just metaphorical describing the state of mind of a person. Knowing the state of mind of a man depends to so me extent on your facial expression and body carriage. Thanks for writing and sharing your opinion. Do have a nice day. “It seems like I’m always trying to understand something–or several somethings.”…. I love this! Thank you! Kenza. No worries Liana! You still could drop by to share your link and check out other blogs too! And hope you’re doing well. Take Care! Hello and thank you for enjoying my blogs. People use different words to express what they feel. Instead of saying, ”You look wonderful,” they may say, ”You’re glowing” or ”You radiant warmth.” I prefer words that make sense too, but others see it differently. Take care. Do a Google Scholar search for “George Lakoff” and “Conceptual Metaphors.” He has some interesting phrases on where those silly phrases come from, and how humans come to associate concepts that aren’t entirely related with each other (e.g. behind in a job one doesn’t like as being ‘trapped’). I even have a few papers I’d be willing to share with you, if you’re interested. Oh my, I just re-read the comment I left you and it’s full of typos! I must have been exceptionally tired or exceptionally rushed when I wrote it. My apologies! I’m glad you could still make sense of it. But yes, George Lakoff has a lot to say about why completely unrelated concepts (e.g. warmth and friendliness) become linked in our language. I know some of my blogs may disturb viewers from time to time, but I only hope to open minds and hearts. We can learn so much from each other. Take care. Thank you! Same here; not everyone likes everything I write 😏😉. Opening minds and hearts is wonderful 👏🏼👏🏼. Take care of you too! Hey! Are you doing ok? Haven’t seen any posts from you lately. You just popped into my mind today and I realized hey she hasn’t posted anything so I just wanted to make sure you were ok over there!!! I’m so proud of you for doing so well in your classes!!!! Yeah, after writing I would be drained of all brain power. No blogging after schooling for sure. Totally get that! I am one of the people who get those sayings lol. When someone is sad, sometimes their eyes seem dull. And when they’re happy, they look shinnier to me. “You can’t have your cake and eat it too” always confused me. I just googled it after it came to mind after reading your post, and I sort of understand it now. Lol great post. Confused Aspie, did you type the URL for your blog incorrectly? When I clicked on the link above your comment I got the error message “confusedaspie.wordpress.com doesn’t exist”. 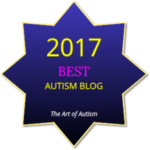 Please let me know what the correct URL is and I will add it to the Actually Autistic Blogs List (unless you’d prefer not). Thanks. Confused Aspie, yes, that works. maybe it took so long to blog because i had cold feet!